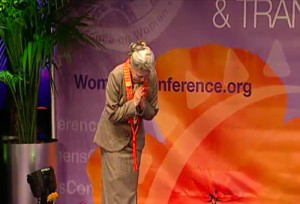 Her Holiness Shinso Ito receives standing ovation from over 5,000 women at Women’s Conference on Oct. 25th. Click here and be inspired! More than 30,000 women from all walks of life gathered at the 2010 Women’s Conference hosted by California First Lady Maria Shriver and Governor Arnold Schwarzenegger, at the Long Beach Convention Center from October 24 – 26. 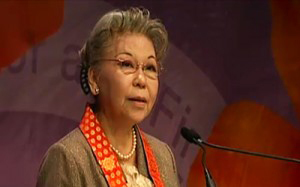 During the Opening Session on the 25th, Her Holiness Shinso Ito, spoke to a packed audience of over 5,000 people. Her Holiness is the current head of the Shinnyo sangha, and for the Shinnyo practitioners, she is the central teacher and role model, a living embodiment of the enlightened qualities of loving, kindness, compassion, and wisdom. As Her Holiness stepped onto the stage a roar of applause and a standing ovation welcomed her. 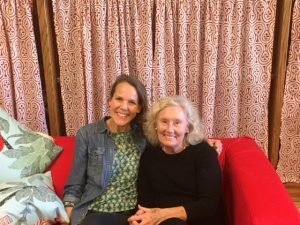 Her quiet strength and warmth enveloped the hall and it was palpable that she made an instant connection with everyone in the theater. When she started speaking, her gentle voice transported everyone to a place of serenity and tranquility. Her Holiness spoke with great poise, the story of her mother that gave her the strength and inspiration to choose her path as a spiritual leader. In total, more than 165 world-class speakers gathered with more than 30,000 attendees that were educated, inspired and empowered to be Architects of Change in their own lives, within their communities and around the world. This year’s conference overarching theme was “It’s Time,” as an opportunity to come together and transform ourselves and our communities as Architects of Change. 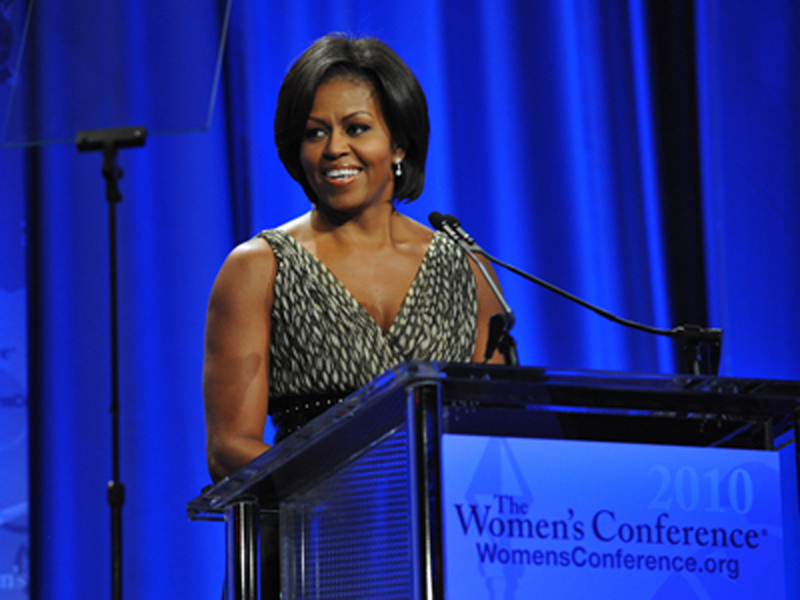 Other prominent female speakers were First Lady of the United States Michelle Obama, former First Lady Laura Bush, and Jill Biden wife of Vice-President Biden.